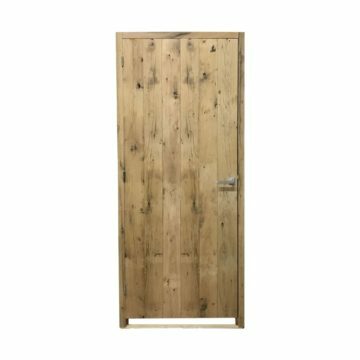 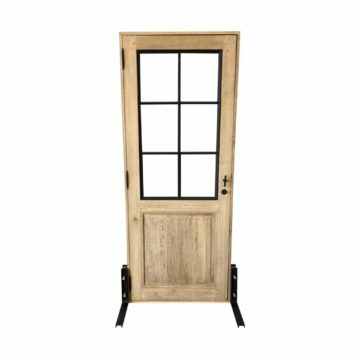 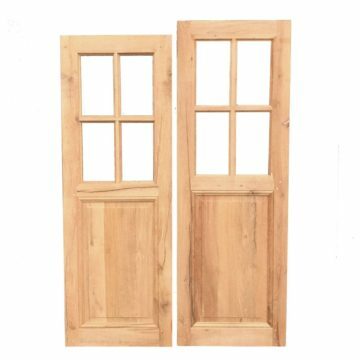 ANTIQUE DOORS FROM LOIRE MILL: Heavyweight antique wood doors, partially metal-clad for 19thC style fire-proofing / security within the Loire Textile Mill work zones and vaults. The textile mill wove cloth for French Army uniforms in WW1. 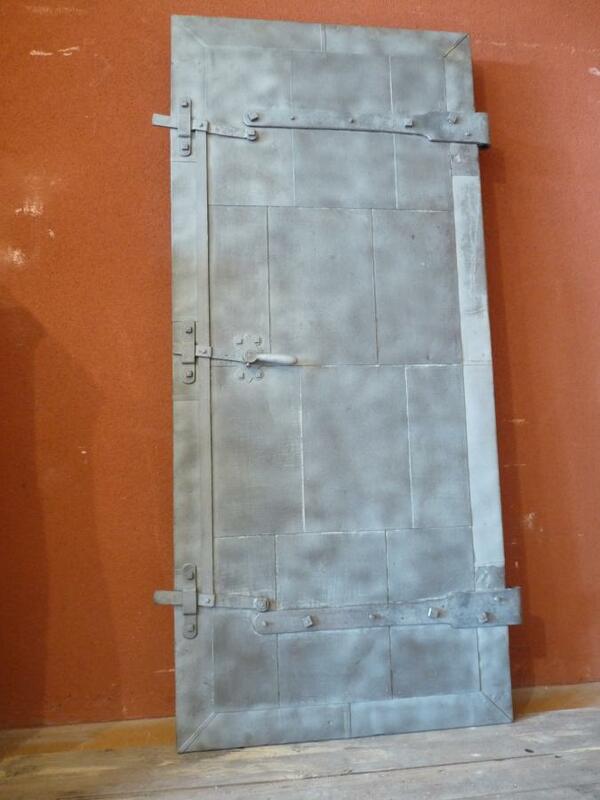 Heavyweight ironmongery included as available. 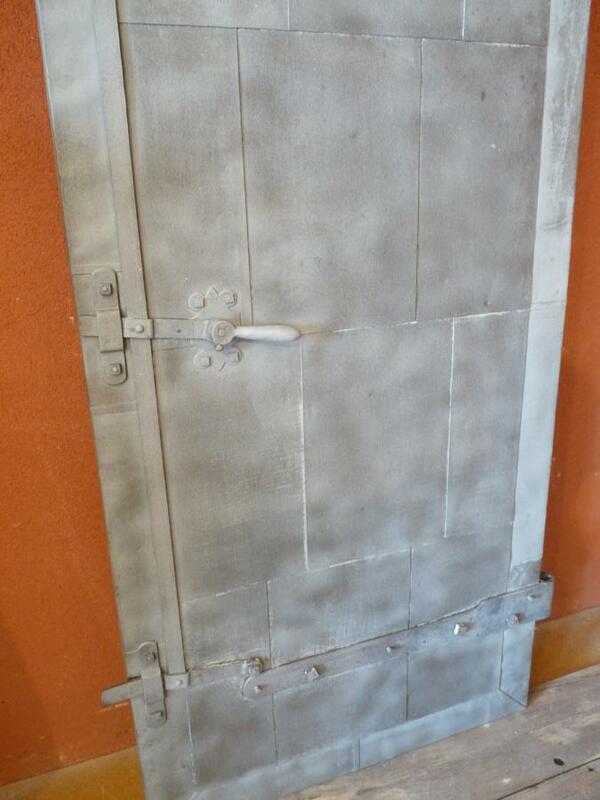 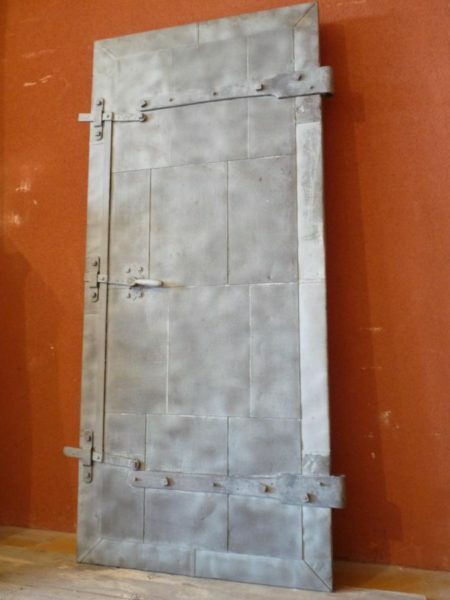 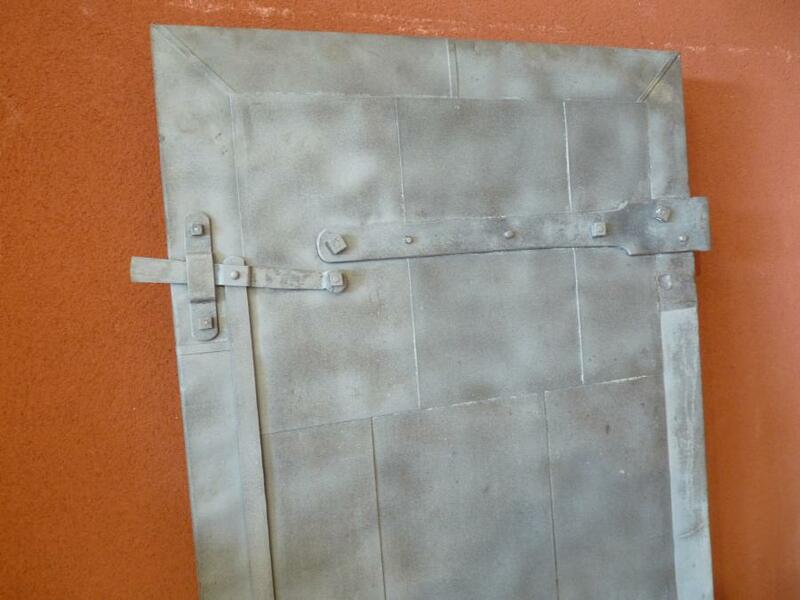 Photos show a door after sand-blasting (but sold un-blasted “as is”). 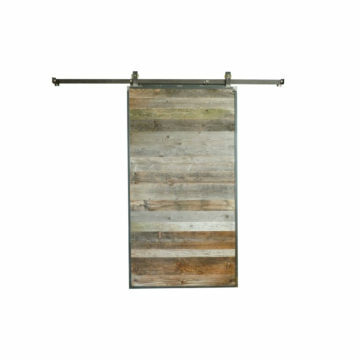 Dimensions approx: Width 91cm (36 inches) x ht 202cm (79.5 inches) x thickness 55mm (2 inches+).